Brainerd area fisheries staff sampling northern pike in Gull Lake at ice-out. 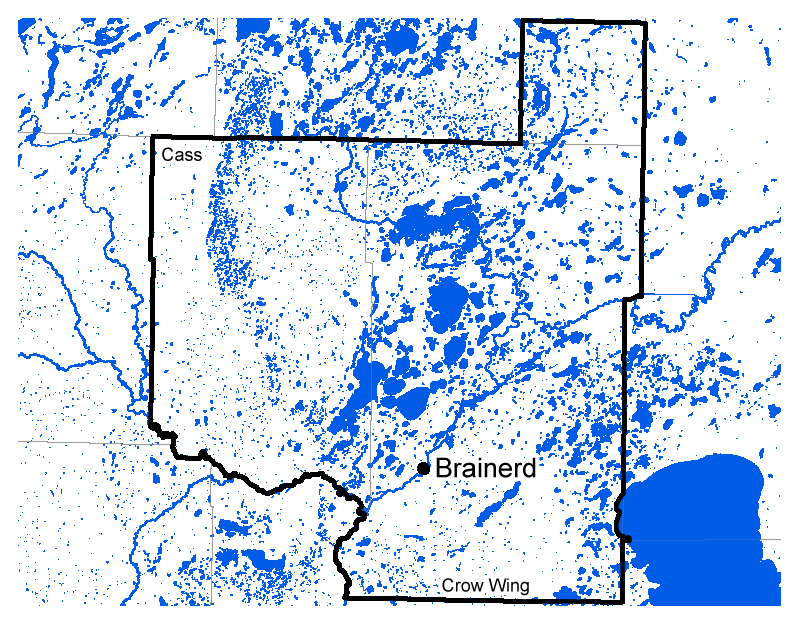 Anglers who fish in Crow Wing and Lower Cass county areas benefit from the management, habitat and oversight work of the Minnesota Department of Natural Resources' Brainerd area fisheries staff. Area Fisheries Supervisor Marc Bacigalupi and a staff of five full-time employees manage 317 fishing lakes and 100 miles of rivers and streams. Popular fishing destinations managed include the Gull and Whitefish chain of lakes, Pelican Lake and North Long Lake. Brainerd area staff also stock trout in the former mine pits at the Cuyuna Country State Recreation Area and assist with ongoing fisheries research on Mille Lacs Lake. Striving to maintain the Brainerd Lakes area's prominence as a premier fishing destination by managing lakes like Gull, Whitefish Chain, Pelican and North Long. A critical walleye production station that collects 90 million walleye eggs annually from the Pine River walleye trap, and hatching 45 million walleye fry annually at the Brainerd Hatchery for area and statewide stocking. Stocking 50 million walleye fry and 400,000 walleye fingerings biennially, in 54 lakes covering 93,000 acres. Providing a popular trout fishery in the former mine pits of the Cuyuna Country State Recreation Area. Maintaining 48 Aquatic Management Areas to protect, restore or improve watershed health and their lakes, rivers and streams while providing public recreational access. Partnering with local organizations to provide area youth fishing programs and outdoor education.